As I have already mentioned in my post about finding and identifying a California Gnatcatcher I spent quite a bit of time wandering what little open spaces are left in the small portion of Yorba Linda I could reach on foot from where we were staying over the holidays. I did this both because I am a birder and am therefore a bit compulsive but also because a house populated by four women and three children, that is, Daisy, her two sisters and their mom, our four-year-old niece, Audrey, and our not-a-year-old-yet-but-you’d-never-know-it-to-hear-him-wail nephew, Aaron, and, well, you will understand why on occasion I had to head for the hills, even if those hills were covered with subdivisions. 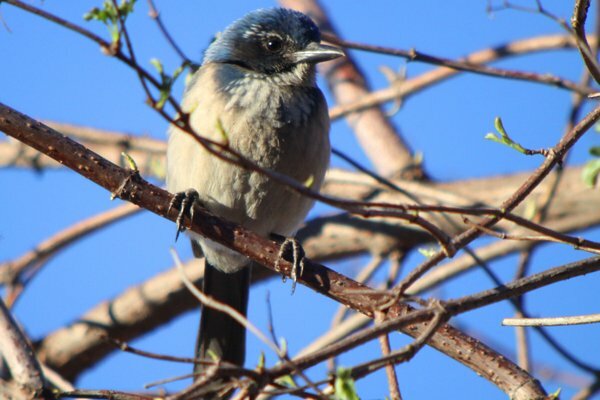 As I have already mentioned, I was pleasantly surprised and pleased by the variety of bird life that manages to survive and thrive in what little space is not devoted to pavement and houses. So, without further ado, here are some of the birds that I was lucky enough to come across in my wanderings. 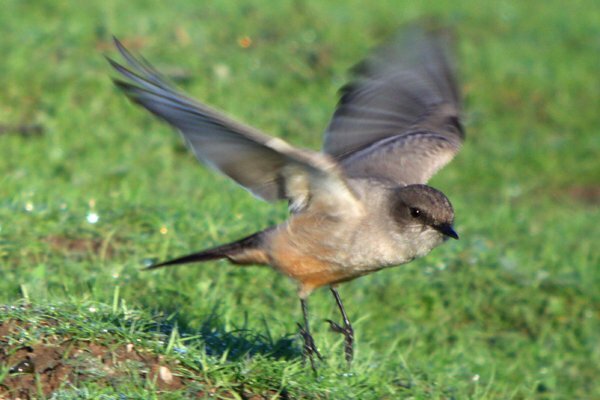 First up, the phoebes, both Black Phoebe and Say’s Phoebe. 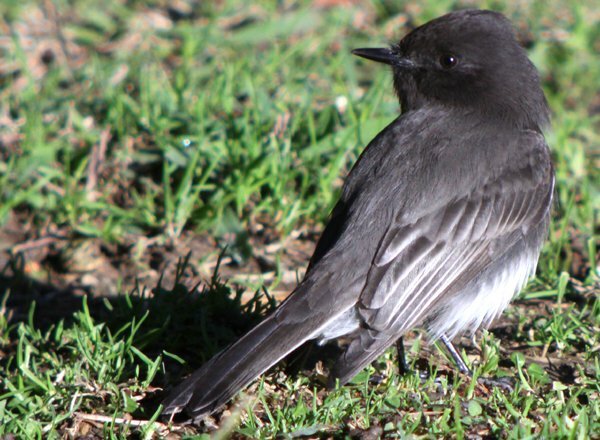 Black Phoebes are everywhere in southern California while Say’s Phoebes are a bit more scarce, though still common. 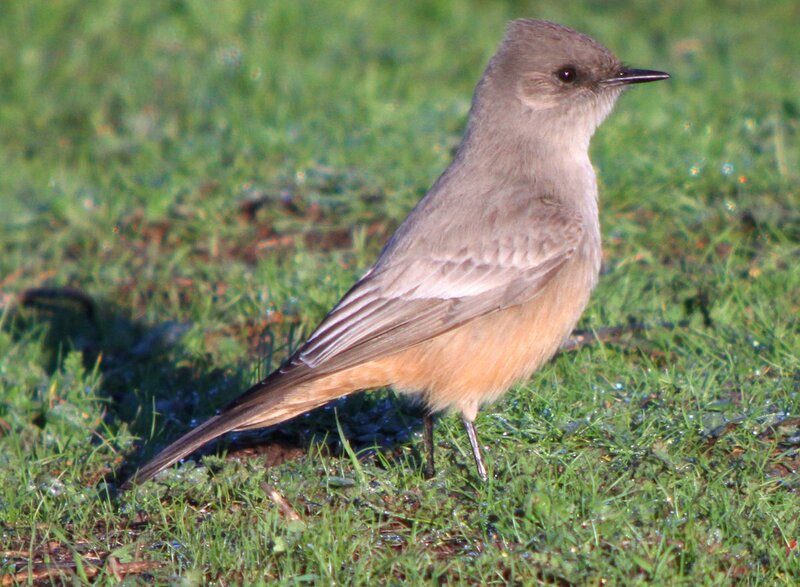 There was one Say’s Phoebe that I could rely on every morning to sit in nice morning light and let me digiscope it for three or four shots before it went on its way after a bug. For Californians these two birds must blend into the background and for California birders they are probably trash birds but I can’t get enough of the two charismatic phoebes. White-crowned Sparrows were impossible to avoid on my outings. In fact, several were spending their winter in the margins of a small parking lot up the street! 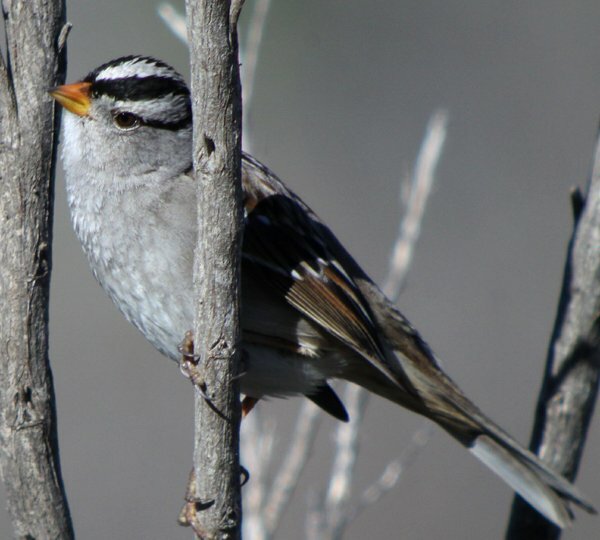 It was a pleasure to get so many good looks at a sharp-looking sparrow like the White-crowned Sparrow, a treat for an eastern birder who generally only gets to see them on occasion in migration. Even better was working my way through the flocks of white-crowneds and actually being rewarded occasionally with a Golden-crowned Sparrow. 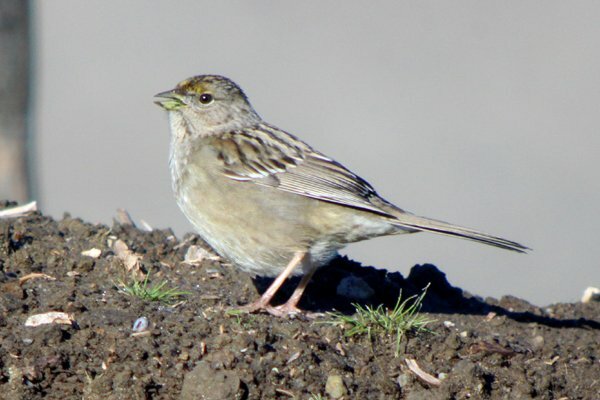 Sure, it wasn’t wildly out of place like some lucky people have experienced of late but regardless of where they are seen Golden-crowned Sparrows are a really cool little bird. So when you are in an unfamiliar place with birds you don’t see very often around don’t be afraid to check out some marginal habitat. You may be surprised at what you find. I know I was! Nice to see familiar birds! Glad you enjoyed birding SoCal. Next time come to the North!!! 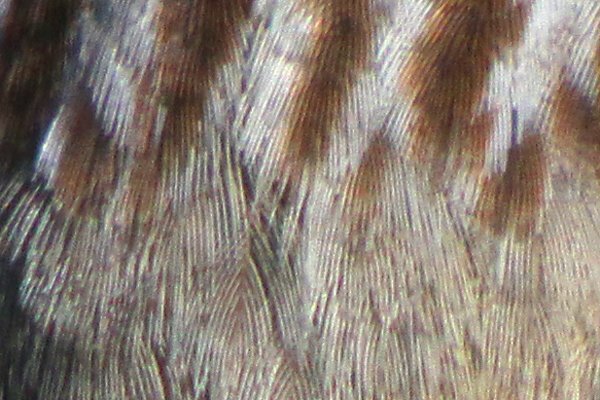 It must be time to try out this digiscoping lark! Excellent shots of all the birds you were able to spot on the great estrogen escape Corey. 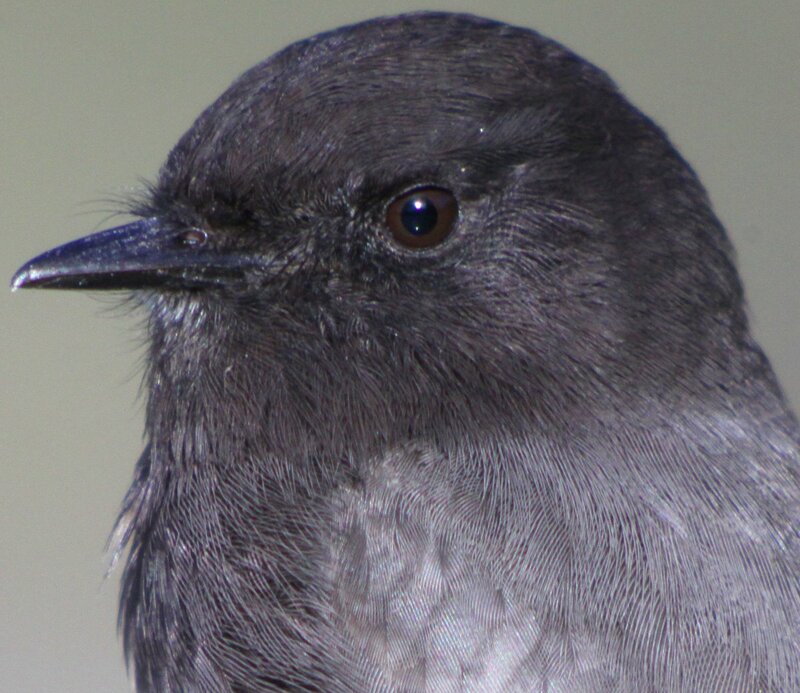 The Phoebes are exceptional, especially considering the sometimes difficulty in getting the right light with the Black Phoebe. 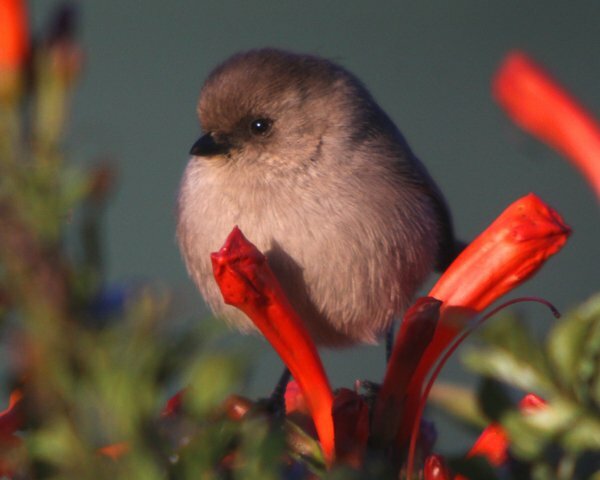 I love the Bushtits and that strange looking Allen’s Hummingbird. 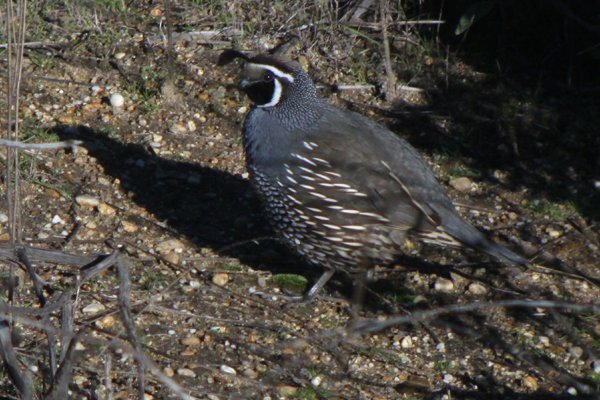 Next time you are in the area, let me know if you want to photograph birds in a suburban Yorba Linda yard (planted in mostly natives). 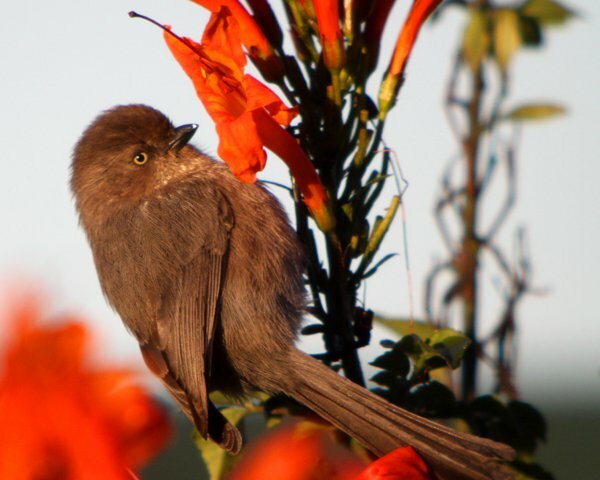 Frequent visitors (not included in your photos) are: California Towhee, Cactus Wren, Mockingbird, Mourning Dove, Broad Tailed Hummer, Anna’s Hummer, Lesser Goldfinch, Western Bluebird.